After Lunar New Year, the next major February highlight is Valentine's Day! Whether you're celebrating over a romantic evening, doing something special for Galentines Day, or you just need show yourself some love with a bit of self-care to get through the long winter months, a trip to the salon is always a good idea. 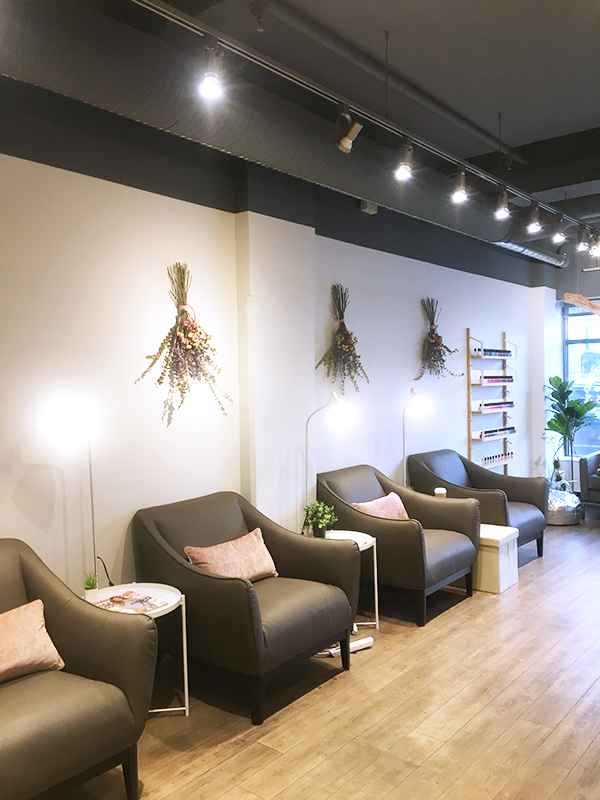 I recently had the privilege of trying services at two new-to-me salons in Vancouver that are definitely worth checking out if any or all of the above apply to you this Valentine's Day. First up? A gel mani at Lily & Roo. 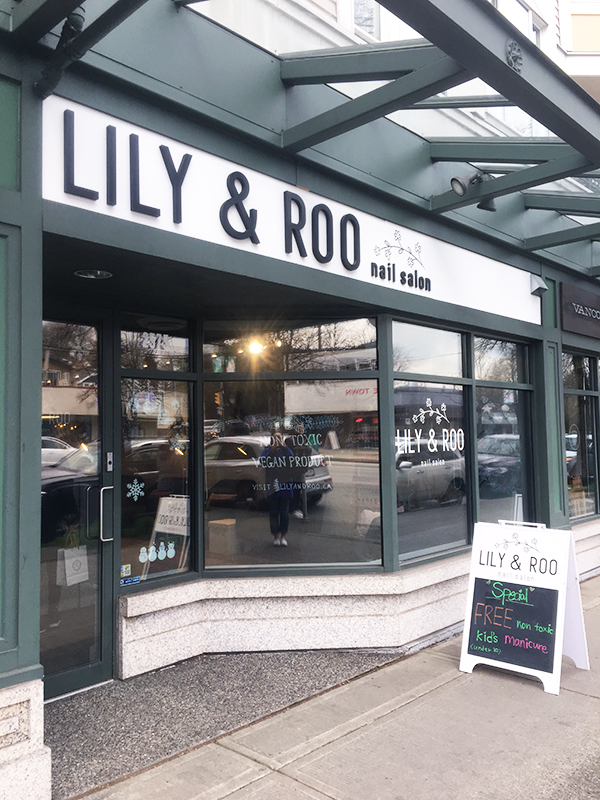 Lily & Roo (named for owner Chloe's daughter and her daughter's favourite stuffed dog) first opened in October 2018 with an unassuming storefront on West Broadway in Kitsilano. Once inside, the salon is a minimalist and feminine reprieve from the outside world. Think instrumental jazz music and oversized peony decals on the walls. 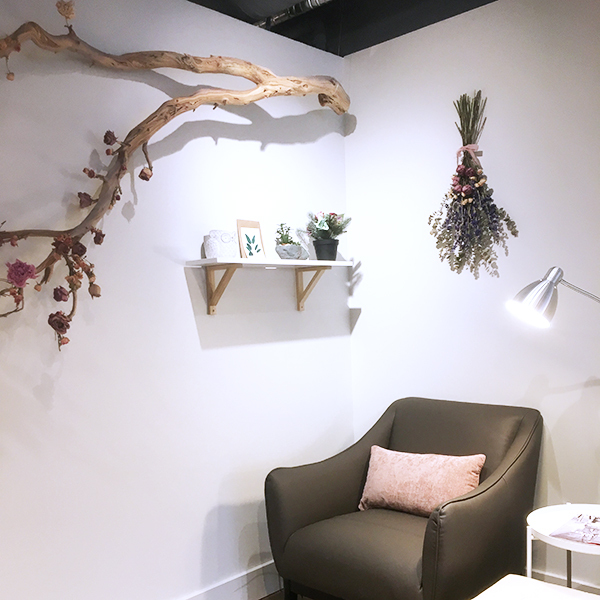 There are dried bouquets hanging over comfy grey armchairs and even floral branches installed on the back wall and hanging from the ceiling. Talk about Instagram-friendly decor! 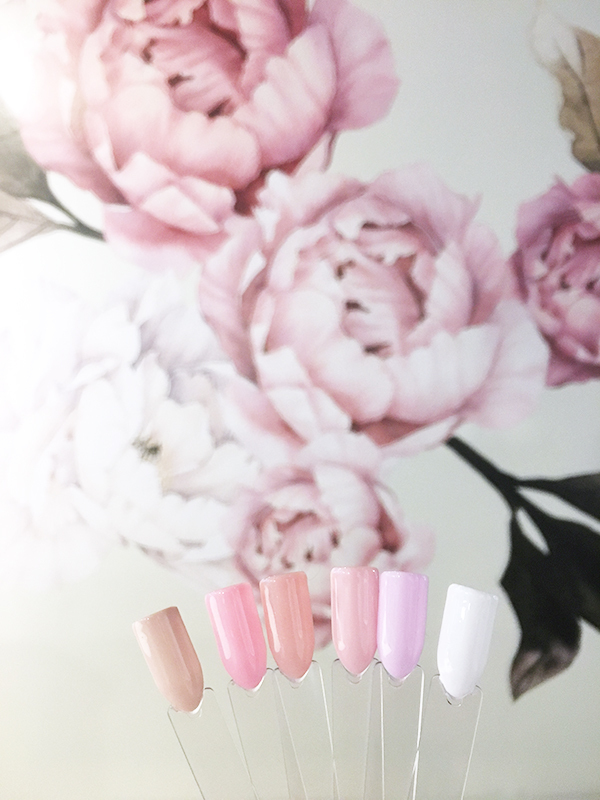 Lily & Roo prides itself on being non-toxic, vegan and cruelty-free and uses 3-, 5- and 7-free nail polishes. 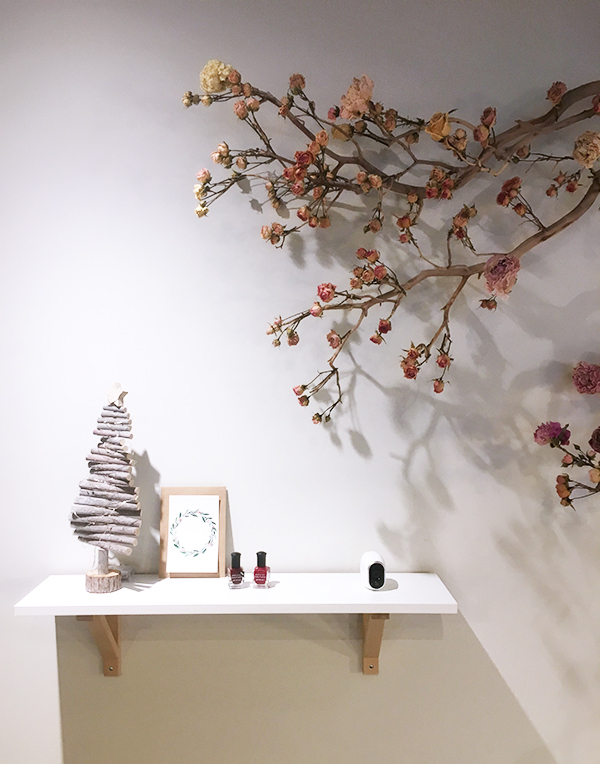 During my visit there, I spied nail polishes by Zoya and Deborah Lippmann lining the walls for regular manis, and new-to-me gel brands like Bio Seaweed Gel. Each nail technician's station was stocked with Deborah Lippmann nail care products. 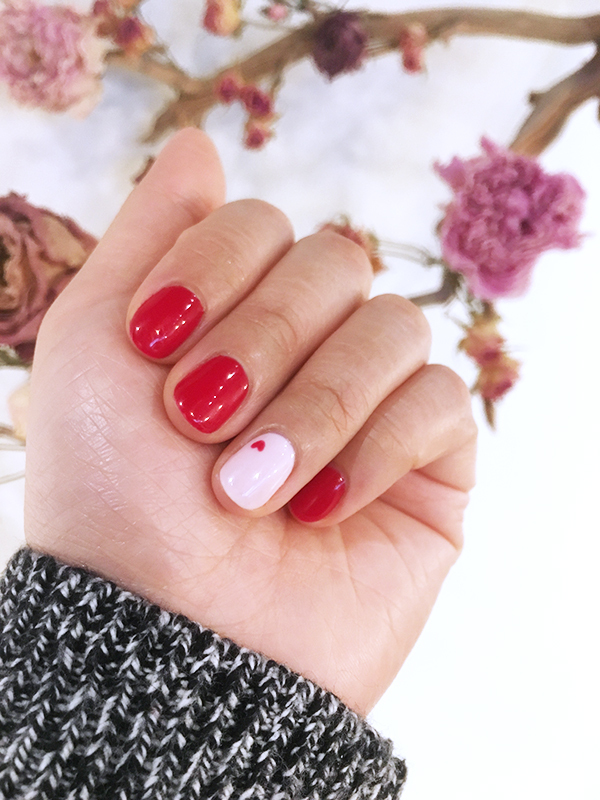 Half the fun of getting a salon mani is having something done that you wouldn't usually do for yourself, so I opted for a Valentine's Day-inspired gel mani, red with a pink accent nail and a little heart detail. 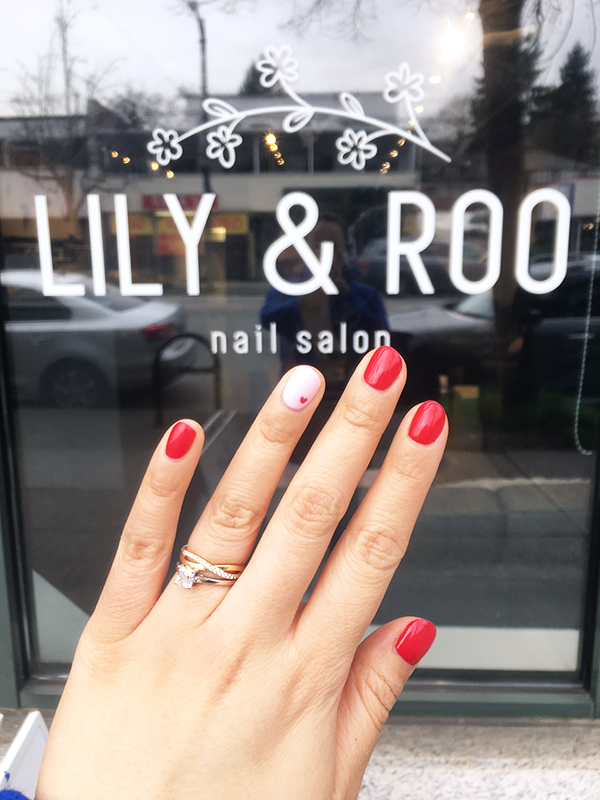 My nail technician and Lily & Roo owner Chloe were very friendly and helpful as I perused the swatches and chose the perfect shades of red and pink for my nails. As for my gel mani experience, it was top-notch. My nail technician didn't buff my nails excessively, which I like because it makes for a healthier nail bed when the gel mani gets removed. She spent a long time trimming and treating the dried skin on the sides of my nails and my winter-ravaged cuticles. I would've liked starting off my mani with a brief hand soak and exfoliation (neither of which is part of the gel mani experience at Lily & Roo), but my mani did wrap up with the most relaxing hand lotion massage followed by a wipe-down of any excess lotion with a hot towel. I couldn't stop marveling at how baby soft my hands were and how good my cuticles and nails looked as I walked out of the salon. Plus, that cute little heart on the accent nail! The only bummer about my Lily & Roo experience was that my gel mani didn't last as long as I would have liked. There were small chips on my nail tips after about a week, and then the entire nail polish application peeled off my second and third fingers on my left hand shortly afterward. I think this is due to the particular gel nail polish brand used (Bio Seaweed Gel) and not my nail technician's skill though, and if you're looking for a vegan cruelty-free mani specifically the wear could be a worthwhile trade-off. Special thanks to Lily & Roo (2575 West Broadway) for having me in for a complimentary gel manicure! Check out their website for prices and services.